POS systems have become an integral component to the success of most restaurants and bars. 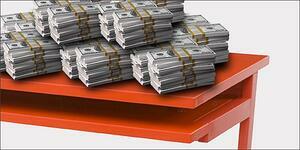 When used properly, a good POS system can significantly impact your profitability. While this may lead you to believe that your choice of specific system iis an critical decision to get right, the reality is more nuanced. In fact, the way in which you program your POS system matters much more than the actual system you purchase. Of course, the manufacturers of POS systems don’t want you to discover this fact. Instead, these companies would like you to believe their system provides significant benefits compared with their competitors. However, the differentiation in features between the various POS systems is much more subtle. When choosing between different POS options, it’s more important to evaluate factors such as overall cost, local servicing, and ease of use. This last factor is particularly important. Often, the familiarity of your staff with one particular system outweighs the benefits of switching to a new one. It can be a hassle to switch to a new system since there will be a learning curve for your entire staff. As a result, many bars tend to stick with their current POS company to avoid these hassles and growing pains. In most instances, this will work out fine. Bar-i works with over 20 different POS systems and after gaining extensive experience with such a large number of products, we strongly believe that the way in which you program your system has a much greater impact on your profits than the particular system you choose. The good news for you is that you can achieve excellent results with the system you’re currently using. However, you may need to invest some time reprogramming the system in a way that helps you maximize profits. The problem with programming your POS in this manner is that it gives too much leeway to your bartenders when determining prices. Where is the line between a call liquor and a premium liquor? In some cases, such as Grey Goose vodka, the category is obvious (it’s clearly a premium liquor). But what about Kettle One? This product may fall in the “gray area” between call and premium, and your bartenders may not necessarily make the right choice on how to categorize it when ringing the product into your POS. This can significantly impact your profit margin if your bartenders don’t ring the drink in properly. Another important factor to consider when programming your POS system involves how you handle different sized drinks. Consider the following example – a bar has a standard 1.5 oz. pour size and charges $4 for well vodka and $8 for Grey Goose. This works fine for standard drinks since you have differentiated your pricing to reflect the higher cost. However, you’ll run into a problem when you modify these drinks after a customer orders variations such as rocks, double, or martini. When you pour a rocks drink, it typically adds an additional .5 oz. to the standard 1.5 oz. pour size. Doubles and martinis are typically a 3 oz. pour. The problem with using generic modifiers such as “rocks,” “double,” or “martini” is that they will typically apply a fixed charge to all drinks. In most cases, it will be an additional $1-2 for rocks drinks and an additional $3-5 for doubles and martinis. It leaves money on the table – If you’re charging $1 for the extra half ounce of well vodka in a rocks drink, you should be charging at least double that for a Grey Goose rocks drink to account for the higher cost of the liquor. By applying the fixed charge associated with the generic modifier, you are pricing this premium drink lower than it should be. In some instances, the cost of the modifier will only barely cover the additional cost of the premium product. This seriously eats into your profit margin for these premium drinks. It limits your accountability – When you run a sales report at the end of the week, it will show you how many times the “rocks” or “double” button was pushed, but it won’t differentiate between how many times it was used with premium drinks, call drinks and well drinks. Therefore, there is no record of precisely how much Grey Goose was sold, making it impossible to determine whether you’re missing any of this product. Approximately 20% inventory shrinkage is the industry norm, and if you don’t have the ability to see if a product is missing, it places you in a weak position to be able to fix that problem and reduce your inventory shrinkage. The only way to eliminate these two issues is to program a separate button for every drink you serve at your bar. There are 3 solutions that will help you avoid these problems. Leaving money on the table – By changing your settings to allow you to set the modifier charge based on a percentage of the initial drink price, you can ensure that call and premium drinks are sold at the proper price to reflect the increased cost of the liquor. If you charge 50% more for all “rocks” drinks, then the upcharge for Grey Goose on the rocks will be more than the upcharge for a well vodka rocks drink. Now you’re able to maximize your profits on every drink rung into your POS. Reduced accountability – By changing your settings to break out generic modifiers, you can see exactly how many times the button was used with each type of liquor you sell. Instead of seeing that “Double” was pressed 50 times, you’ll be able to know that “Double Grey Goose” was pressed 10 times, “Double Stoli” was pressed 15 times, and “Double Kettle One” was pressed 25 times. This allows you to match up your usage much more precisely. If you know of any other POS systems that allow you to reprogram your back-of-house settings in this manner, please list them in the comments section below so that bar owners can see a more complete list of companies providing this beneficial service. If your POS system doesn’t allow you to reprogram your back-of-house settings in this manner (and most don't), there are other work-arounds to achieve the same results. However, these other solutions require more time and effort on your part to do the necessary reprogramming. You can break out screens to that you have a “Whiskey Rocks” screen which contains a button for every type of whiskey you serve. You can do this for all drink sizes and all types of liquor you serve (vodka, tequila, whiskey, etc.). This will provide you with a separate button for every drink you serve in your bar, ensuring that you will eliminate the two issues discussed above. 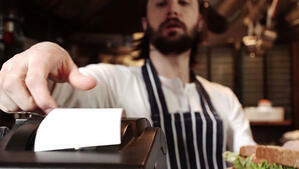 The main drawback with this solution is that it multiplies the number of category screens on your POS system. You’ll end up with multiple screens for every type of liquor that you serve. This may cause you to receive some pushback from your bartenders, claiming that it will take longer to ring in drinks. However, this actually isn’t true. By mirroring button layouts, you increase efficiency (your bartenders will only need to make 2 button presses instead of 3). While your bartenders will have to learn to press the “Whiskey Rocks” screen instead of the “Whiskey” screen, this is something they will get used to pretty quickly. If you mirror the layout of the main “Whiskey” screen on the “Whiskey Rocks” screen, your bartenders will immediately know where all of the buttons are. This is an effective solution, but it’s also very messy because it duplicates the number of screens and buttons you use in your POS system. A more elegant way to get the same result is to choose the size after the product is selected. You may need some help from your POS company to reprogram your system in this way, but it will result in a better user experience. 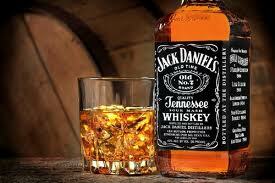 In this situation, if you want to ring in a double Jack Daniels drink, you’d press the “Whiskey” screen, then press the “Jack Daniels” button and a modifier screen will automatically pop up that allows you to press the button for the appropriate sized drink (in this case “Double”). You’re still duplicating buttons with this method (you have a “Whiskey Cocktail” button, “Whiskey Rocks” button, etc. ), but the layout of the screens is more elegant because the size is selected at the end. This method will also force your bartenders to identify the appropriate size on the screen which should make them think more carefully about the size they’re about to pour. 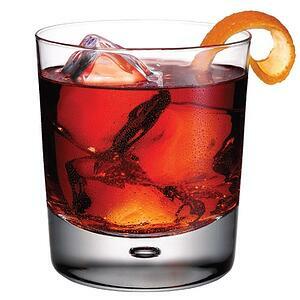 Create custom modifiers for the “Negroni” button – When you press the “Negroni” button, a modifier screen will automatically pop up with all of the different types of liquor that can be used to make this particular craft cocktail (for example, “Beefeater Negroni” or “Tanqueray Negroni”). Keep in mind that in order to make this method work, you’ll need a specific modifier for every craft cocktail on your menu so that it will indicate the specific amount of each liquor that will be used for the cocktail when you run your data reports. If it’s worth your while to serve a particular drink at your bar, then it’s worth your while to make a specific button for this drink. Otherwise, you can’t be sure that your bartenders are going to charge the correct amount and you won’t be able to keep track of which products are missing. Both of these issues can significantly eat into your profits. If you find that you’re having trouble keeping up with creating all of the necessary buttons, you may want to consider reducing your product rotation or doing quarterly changes. By rotating products less often, you’ll be able to reduce the frequency of updates to your POS system. This will make it easier for your manager to handle these updates. 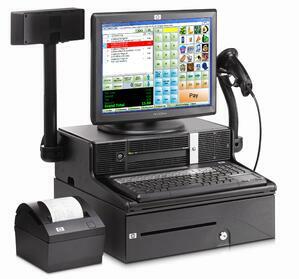 Some POS systems make this process very easy, while others require more effort to reprogram. In all cases, it will be well worth your effort. If you catch an extra dollar or two on multiple drinks a day, it will add up to thousands of dollars in extra profits for you over the course of an entire year. There’s no reason to leave this money on the table when there’s an easy solution right at your fingertips. To receive customized recommendations on how to reprogram your POS system or to schedule a free profitability consultation, please contact Bar-i today. We serve clients nationwide from our offices in Denver, Colorado.